brandflakesforbreakfast: make it rain on them friends! make it rain on them friends! 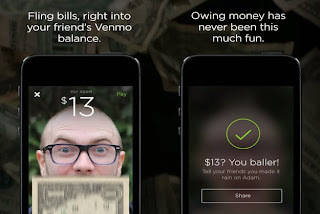 Bank apps make paying your friends back (and making them pay you) easier than ever! Typically a monotonous task, a new app named “Stacks” lets you “make it rain” on your friends by virtually throwing dollar bills at them as you transfer money into their Venmo accounts. How offensive this is will depend upon what exactly you are paying them back for.